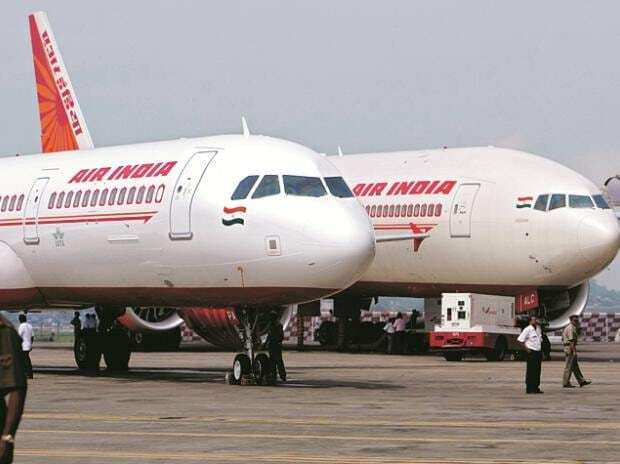 Air India is incurring a loss of around Rs 3 crore daily on its Europe, US flights due to the closure of Pakistan airspace, a senior airline official said on Thursday. Last Wednesday, Pakistan closed its airspace to all overflying flights forcing airlines from India and other nations to take a detour. This has led to increase in flight duration and has put a strain on Mumbai’s air traffic controllers, who are working extra shifts to handle the increase in traffic. On Thursday, Pakistan civil aviation authority extended the closure for overflying flights by another day till Friday afternoon. Flights within and to Pakistan from overseas are operating for past few days. Air India operates Boeing 777 aircraft on non-stop flights to New York, Newark, Chicago, Washington and San Francisco on 14-16 hour flights. It has 36 weekly departures from Delhi and Mumbai to the US which would transit the Pakistan airspace. The closure has resulted in change in routes - flights from Delhi now head South and enter the Omani and Iran airspace. This has led to an increase in flight duration by around two hours. The airline is also forced to make a halt in Sharjah for refuelling in both directions. Air India operates flights to ten cities in Europe with its Boeing 787 planes. Their usual duration is 7.30-9 hours and it has now increased by additional 90 minutes as planes skip Pakistan airspace.
" There is an increase of around Rs 20 lakh in operating costs. We are incurring a loss of around Rs three crore daily because of Pakistan air space closure. The rise in costs is largely due to increase in fuel burn, ground handling charges at Sharjah and maintenance expenses. We have not cancelled a single flight and we will continue to operate the scheduled flights," a senior Air India executive. Air India is now preparing to operate its US flights one stop via Birmingham or Vienna instead of Sharjah in case the Pakistan air space remains closed. This would enable it to optimise its crew utilisation providing them adequate rest period too. Its non stop flights and also the one via Sharjah now have a complement of 4 pilots and 15 crew members. Pilots and cabin crew duty time are governed by the Directorate General of Civil Aviation regulations and the airline has secured waiver from the regulator for increase in duty hours due to the detour around Pakistan. The airline is planning to fly one stop via Europe and these flights would be manned by two pilots in each sector allowing the airline to better utilise its crew.